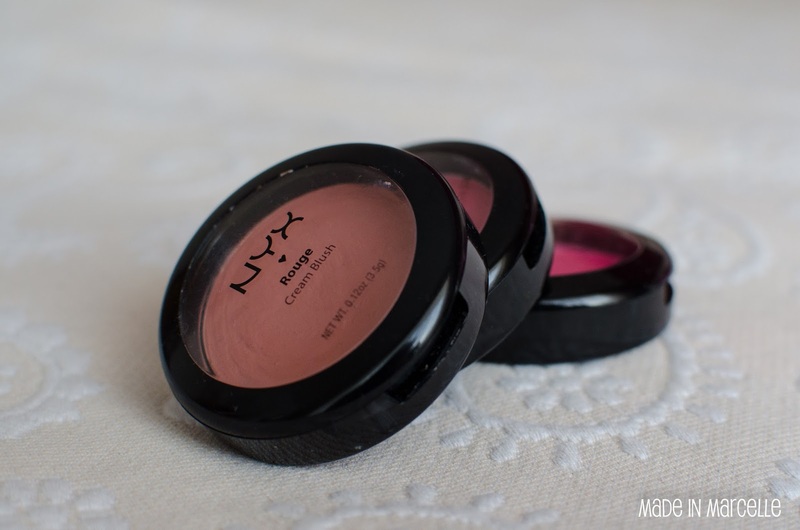 The NYX cream blushes are wonderful little gems providing a gorgeous healthy glow to the face. 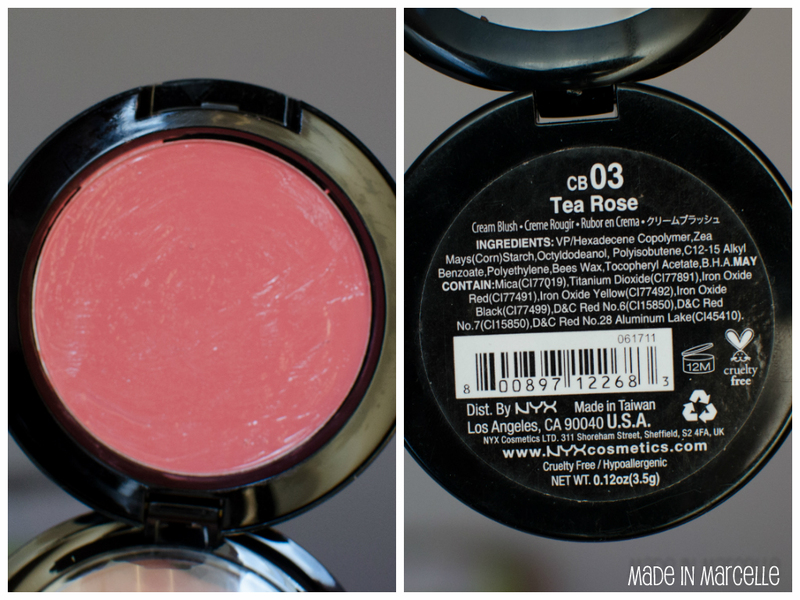 They're also one of my favourite blush formulas. Despite this cream not having the longest wear, it does fade naturally throughout the day. Because they're so highly pigmented, do be careful and use a light hand otherwise you may end up looking like a clown. My absolute favourite colour is Tea Rose, perfect for everyday and a little more forgiving if you accidentally go overboard. 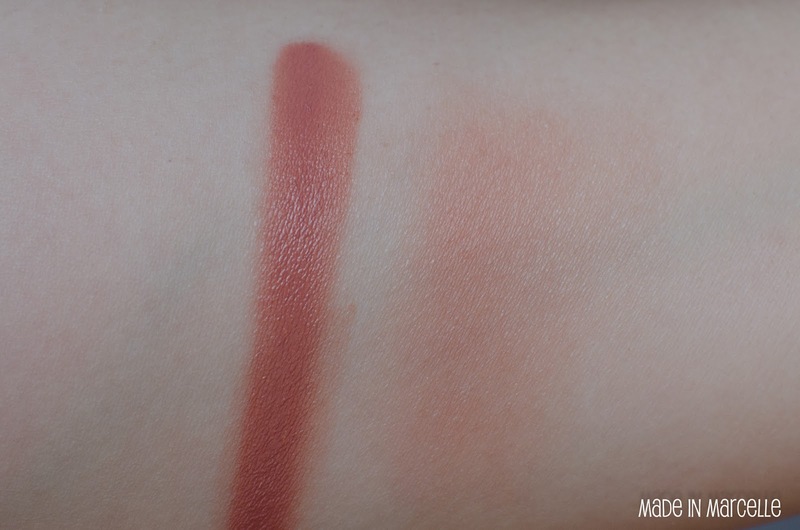 It looks very brown in the swatch but the pink undertones do show up better on the face. 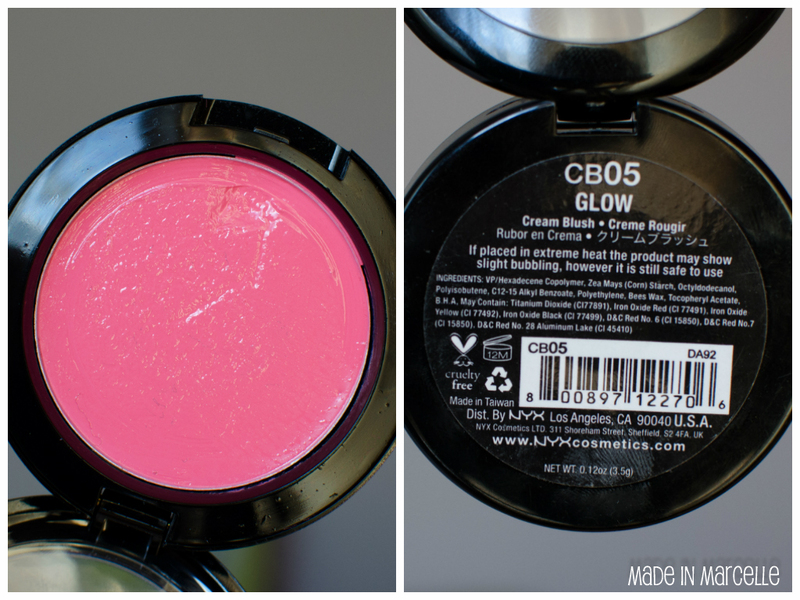 Great for a natural look, especially when I want to look more bronzed and less blushing pink. 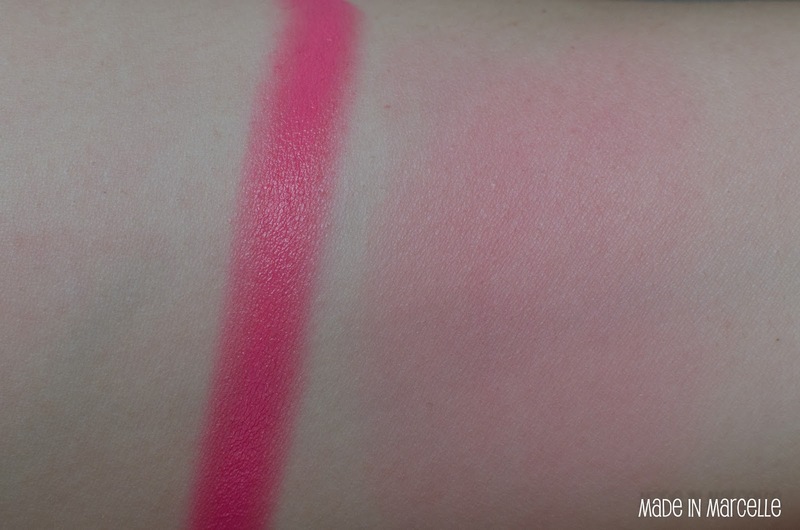 Hot Pink looks crazier in the pan than it does blended out. This is probably my least used colour because the cooler toned pinks don't look as great on my skin tone. Glow would probably be the most popular out of the three and seemingly the middle ground. 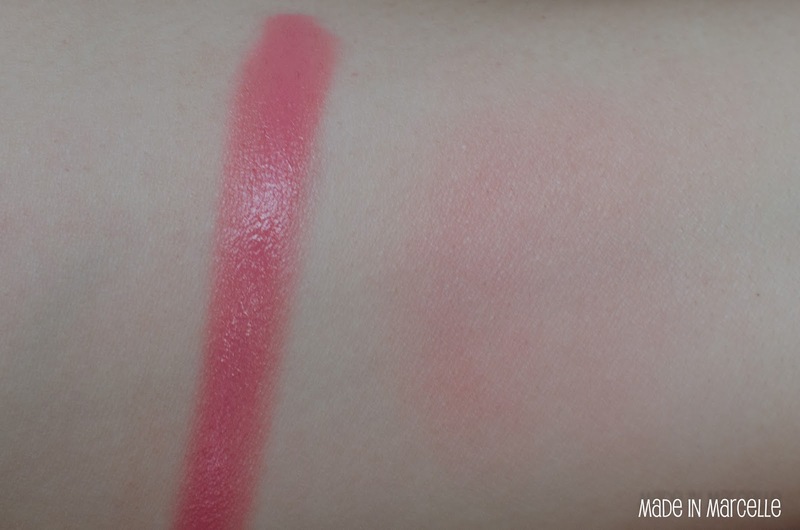 It is more neutral toned and gives a very subtle pink shine. Since NYX is finally available in Australia , definitely give these a try. 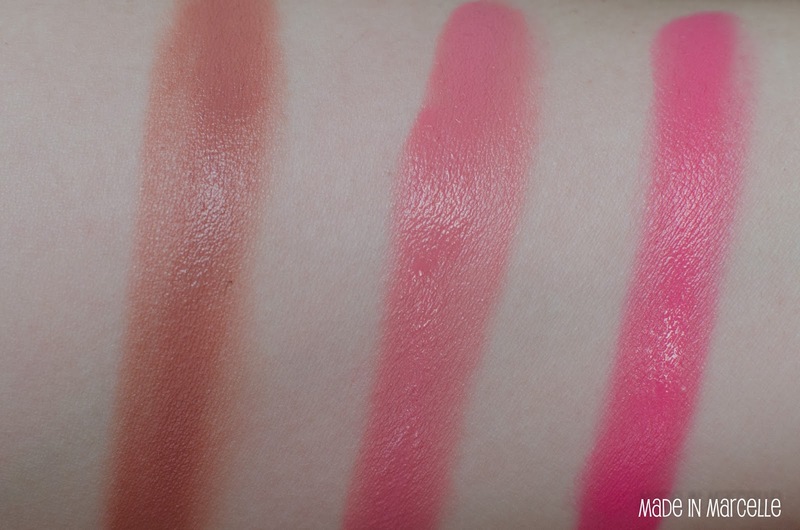 There aren't many cream blushes currently available and at $11.95 they're quite affordable too. Love the shade's. 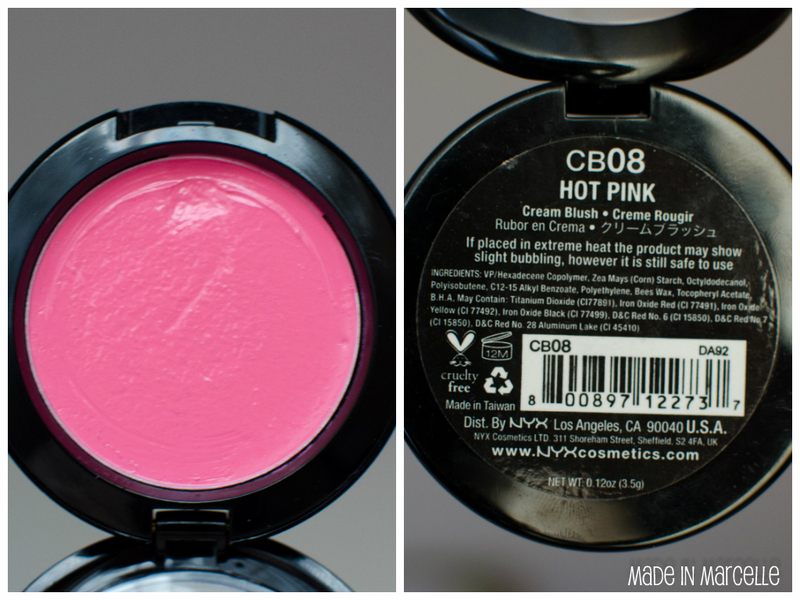 The hot pink color is the best and it will suit my skin tone as well.NYX definitely has the best product's in town.